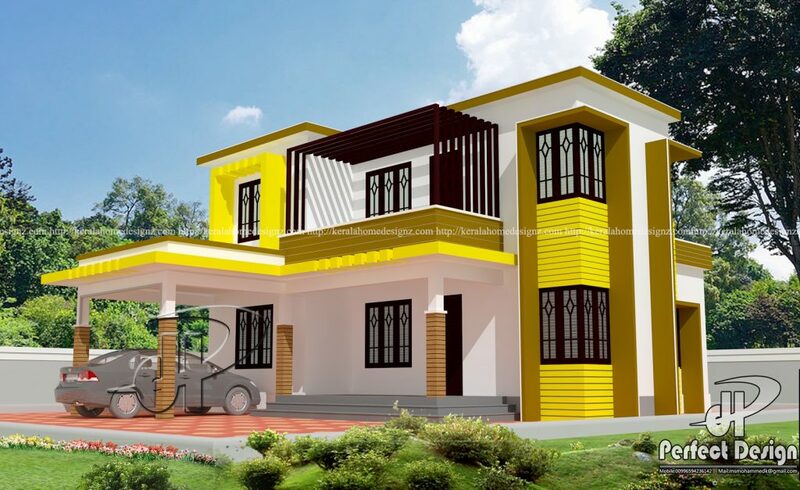 This Contemporary double Floor villa plan is designed to be built in 1603 square feet,proposed for Mr. Muneer, Malppuram.It includes 4 bedrooms with attached bathrooms and a common bathroom. 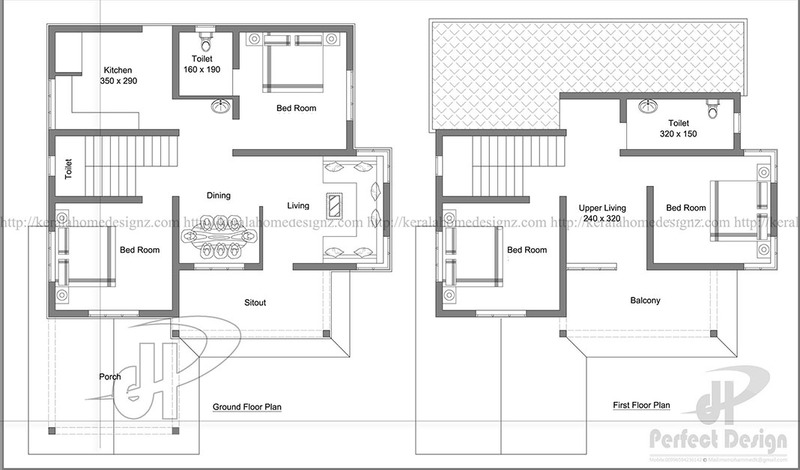 This plan is a double floored which makes out a distinctive and unique design and is estimated for about 23 lakhs. It is proved that we are good about interior designing as which it is the total creative solution for the best programmed interior of our homes. The living and dining room are very well designed and the kitchen are really spacious. Earth work excavation in ordinary soil for foundation and depositing the excavated soil. Earth filling in basement with excavated earth labor charges etc. P.C.C. Flooring 1:4:8 using 40 mm.broken stones for flooring, and finished with Floor Tiles over cement mortar 1:4 mix, including all materials and labor cost etc., complete. Ceiling plastering with combination mortar 1:1:4 and lime purring including labor, material cost etc., complete. White washing two or more coats over walls, bottom of slabs including labor, material cost etc., complete. Applying wood polish two coats over doors and windows labor and materials etc., complete.